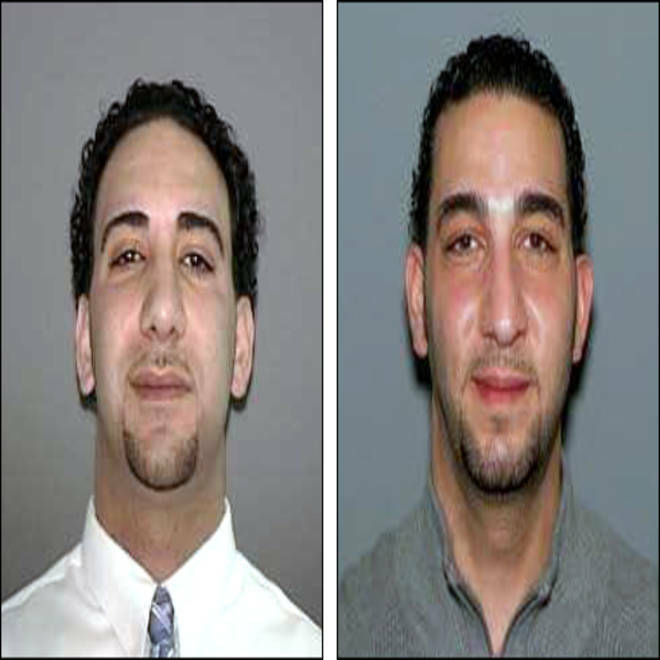 Brothers Nayel Ashkar, left, and Andy Nashkar have been charged in an alleged $5 million lottery scam in New York. Two brothers who waited six years to claim a $5 million New York scratch-off lottery prize have been charged with scamming the ticket off the real winner. Andy N. Ashkar, 34, of Camillus, and Nayel N. Ashkar, 36, of Cicero, were arrested Tuesday, accused of conspiring to falsely claim the big prize as their own, authorities announced. According to prosecutors, the brothers, who are Palestinian immigrants, tried to cash in on the prize on March 1 at state lottery offices in Schenectady. The prize would have expired March 12. They were told a security check had to be completed before the winnings could be distributed. Lottery officials, suspecting something was amiss, then “planted” a story that was picked up by the media about the brothers and the $5 million ticket. They also notified the district attorney’s office about their suspicions. The press release issued by the state lottery on Oct. 16 was unusual in that it disclosed a lot more information than customary about the purported winners. Usually, the lottery waits to announce a winner’s identity at a press conference. “Nobody put a fast one over on us,” John Lammers, the enterprise editor of The Post-Standard of Syracuse, told The New York Times. “We were suspicious of this from the get-go. Something was going on. In a follow-up Oct. 21 story, the Post-Standard noted that the brothers still hadn’t scheduled a press conference, as required by lottery rules to collect their winnings. They hadn’t responded to phone calls and emails from lottery officials to set it up, lottery spokeswoman Carolyn Hapeman told the newspaper at the time. Lottery officials said it’s routine for the lottery’s security unit to investigate for possible fraud whenever the winner is someone related to the owner of the outlet that sold the winning ticket. “It’s part of our routine procedure to put that on retailer hold, where our investigators contact the folks who presented the winning ticket, and also the people from the store,” Hapeman told the Post-Standard. Fitzpatrick, the DA, said the story was put out by the lottery’s security division in an attempt to have the real winner come forward. The actual winner has since come forward and is cooperating with authorities, Fitzpatrick said. Both Ashkar brothers work as managers at separate central New York auto dealerships, according to The Associated Press. Calls to phone numbers listed for the brothers went unanswered Wednesday morning, as did a call to the convenience store owned by their parents. The brothers are charged with attempted second-degree grand larceny and fourth-degree conspiracy. Andy Ashkar also is charged with first-degree criminal possession of stolen property.